Did you know that a store can sell food past the expiration date printed on the label? Or that manufacturers only voluntarily stamp dates on foods? While the law states that foods must be wholesome and safe to eat, and the U.S. Food and Drug Administration can take action to remove a product that poses a danger, the agency doesn’t require dates on foods other than infant formula. And when dates are used, they’re determined by the manufacturer. That means that you need to become an educated consumer about dating guidelines to protect your health. What’s called “open dating” is found mainly on perishable foods such as meat, eggs and dairy. “Closed” or “coded” dating is used on cans and boxes. • Sell-By: How long the store should display the food. Buy before this date and cook within one to two days for poultry and ground meats, three to five days for red meat. • Best If Used By or Before: A recommendation for best flavor or quality. • Use-By: Last date for the food’s peak quality, but not a safety date. • Closed or coded dates: Packing numbers used by the manufacturer and valuable in case of a recall. after you buy it, the food should be safe if handled properly. If mishandled, such as stored at too high a temperature, it can become unsafe to eat, no matter the package date. 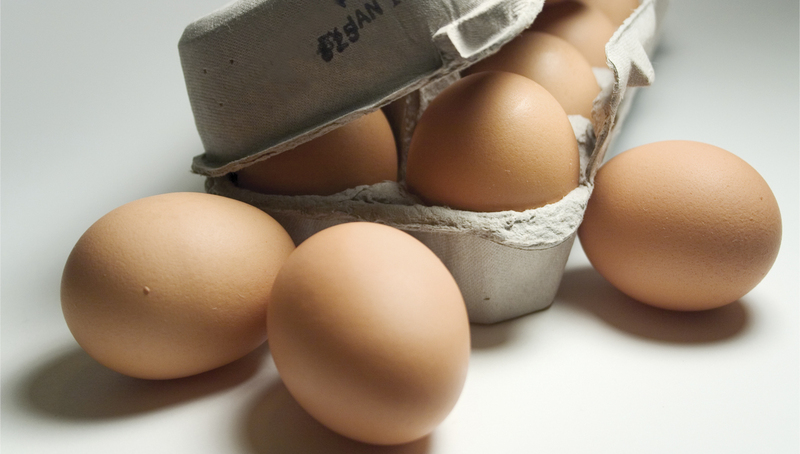 When buying eggs, look for cartons with the U.S. Department of Agriculture (USDA) shield and a 3-digit code that stands for what day of the year they were packed. For instance, January 1 is 001. Buy eggs within 45 days of the code date. If stamped, follow the “Sell-By” or “EXP” date on the carton. At home, place the egg carton in the coldest part of the refrigerator, not in the door. For best quality, eat eggs within three to five weeks of purchase. For safety, take food home immediately after buying and refrigerate it. Follow any handling recommendations on the label and freeze any foods that you won’t be eating within a few days. For questions about meat, poultry or eggs, call the USDA Meat and Poultry Hotline at 1-888-M-P-Hotline.